There are lots of great African websites, but there are some that are better than offers. I’ve tried to pick out some of the most interesting of them all; each one is different from the others and offers something unique to its audience. For people looking to keep on top of the latest African news headline, News24 is a good website. It covers the whole continent and is one of the most visited of all African websites. They also cover international news, posting articles throughout the day as the latest news breaks. It’s a valuable resource and is based in Cape Town. They put a big focus on video content too, which makes the website even more popular for people who like to receive news in a more visual way. BidOrBuy is South Africa’s answer to eBay, and it’s a pretty good answer! Like all good online auction sites, you can bid on or buy various items, and sell the things that you no longer want. It’s one of the most popular websites in the country. It’s managed to become more than a place to buy and sell things though. It also has a vibrant community forum and plenty of blog posts to read. If you ask me, it’s a website that improves on the other big auction websites such as eBay and others. 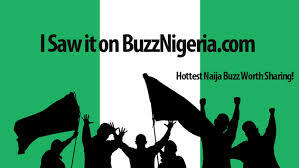 Buzz Nigeria has so many different categories, covering so many different topics. This makes it one of the most broad and most interesting of all African websites. If you want to read Nigeria News today, you can do it there. But if you want to read about education, sport, business, nature, religion, tech or culture, you can also do that there too. And that’s only naming a few of the things up for discussion on the website. The best thing about the website is the variation it always offers. This is essentially a website for anyone who loves Africa. People who live there use it and people who to visit the continent use it. It has a forum where people can discuss different topics from news headlines to sports games. It also has a section for news articles and blog posts. For anyone who loves Africa, this is a great website filled with enthusiastic and interesting people. It even has a good classifieds section where you can buy and sell various things, so check it out. If you need to compare prices, this is where you need to head. It’s a South African website that let you compare deals on all kinds of different products and services. Not many comparison sites are so comprehensive. Most of them only focus on one thing such as insurance or phones. But they cover everything at PriceCheck. You simply enter the thing that you’re looking for, whether it’s a tablet, flight tickets or a leather jacket, and it will allow you to compare all the different offers. It’s a great site for people looking to save money.